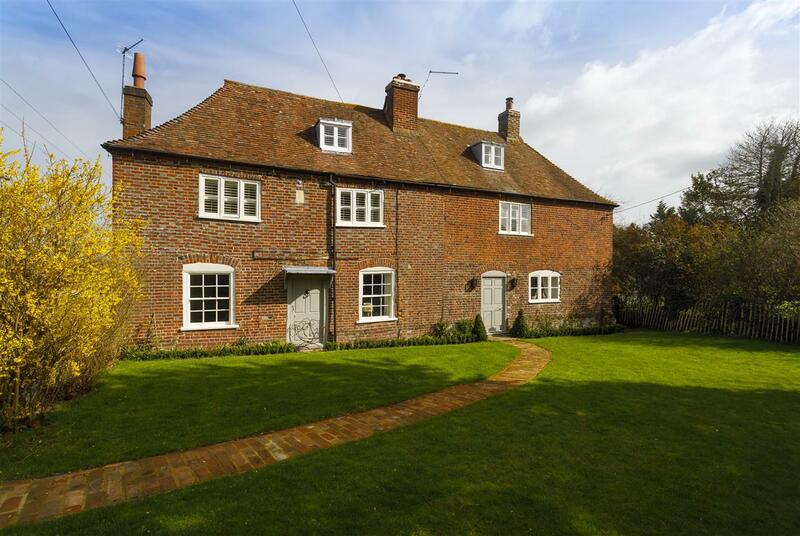 A splendid Grade ll Listed period residence which has been renovated to an exceptional standard, situated within private grounds of approximately a quarter of an acre, in a tranquil, rural setting, yet just nine miles from the bustling cathedral city of Canterbury. 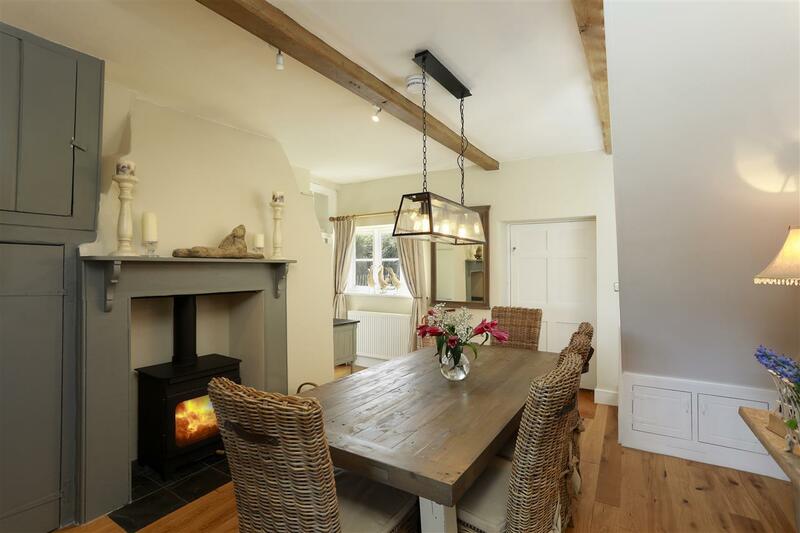 Formerly two almost derelict cottages, North Corner Cottage has been painstakingly rebuilt and sympathetically extended, utilizing the very finest materials and craftsmanship. 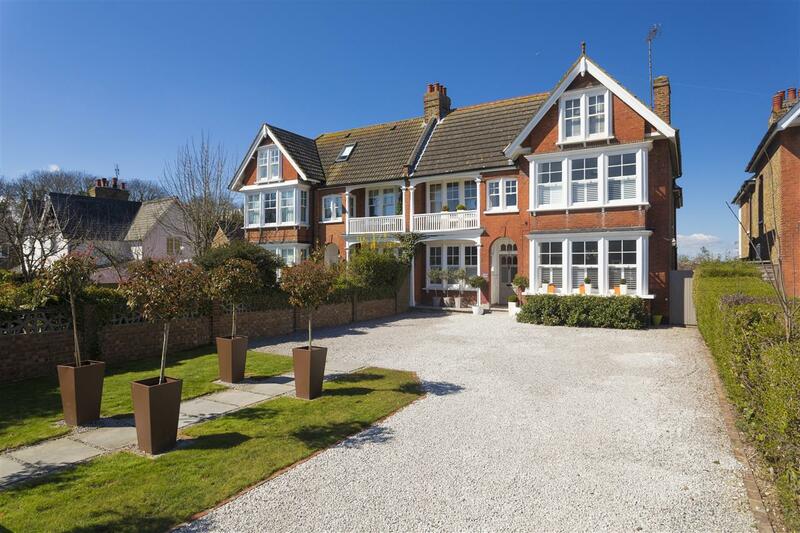 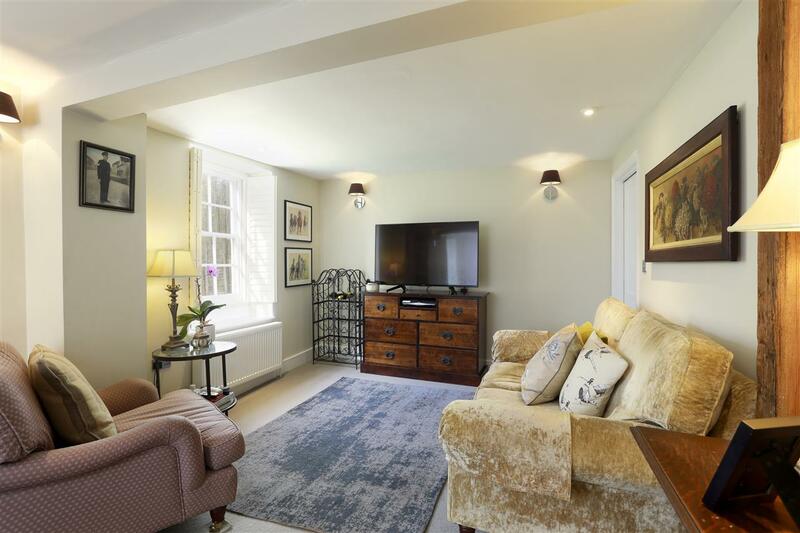 The end result is a sophisticated blend of modern luxury and traditional character, combined within a generously proportioned, three storey family home. 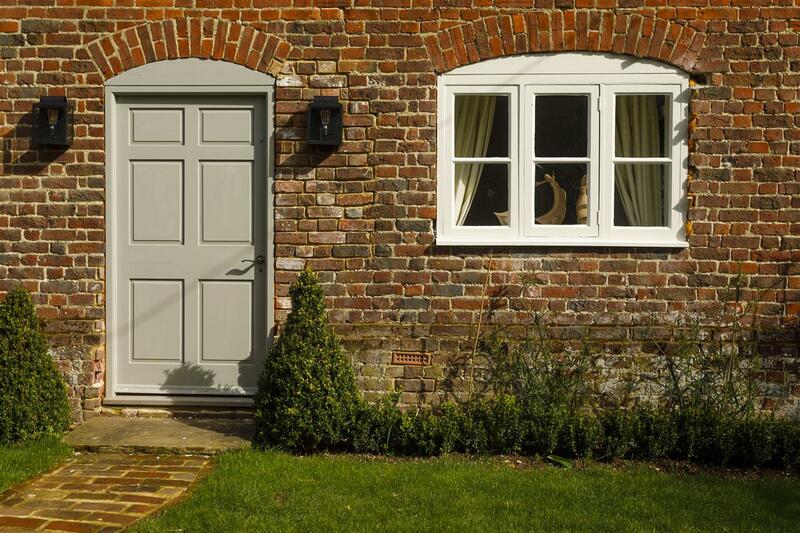 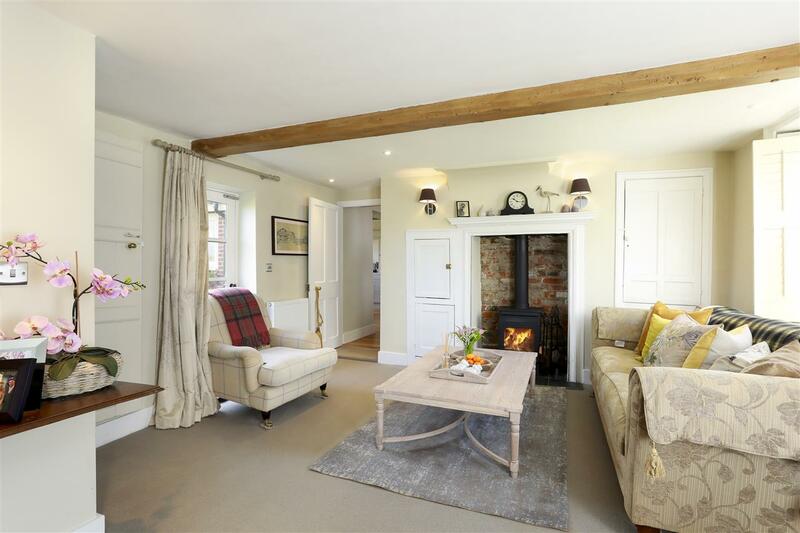 The front door opens into a spacious reception room with exposed beams, original storage cupboards, engineered oak flooring and a fireplace with a wood burning stove. 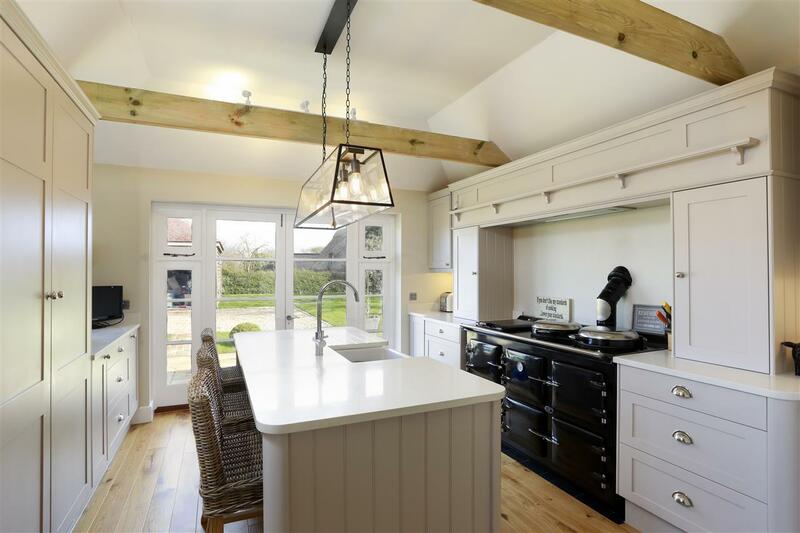 The oak flooring continues into a magnificent dual aspect kitchen/breakfast room, with a beamed and part vaulted ceiling, stable doors and a set of wide French doors which open onto the rear garden. 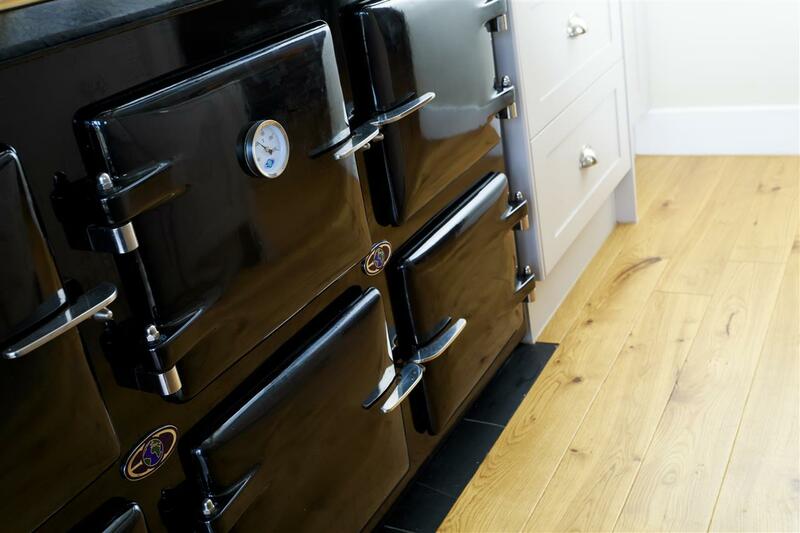 The kitchen has been fitted with an impressive range of traditionally styled, handmade units, set around fine quartz work surfaces, a range of integrated appliances and a wood pellet fired, three oven Aga. 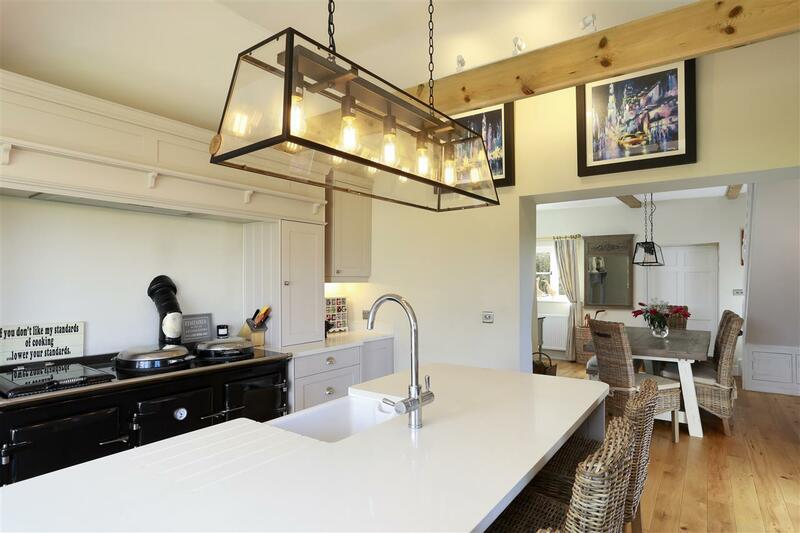 The centrepiece for this spectacular room is a large, central quartz topped island and breakfast bar, with an inset Belfast sink with instant hot tap. 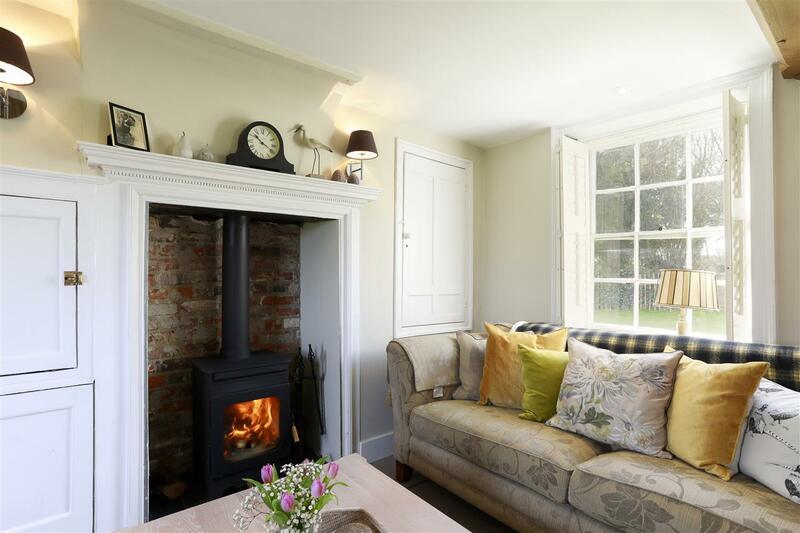 To the left of the reception room, there is a wonderful, dual aspect sitting room, with exposed beams, original sash windows (complemented by bespoke New England style shutters) and a fireplace with another wood burning stove. 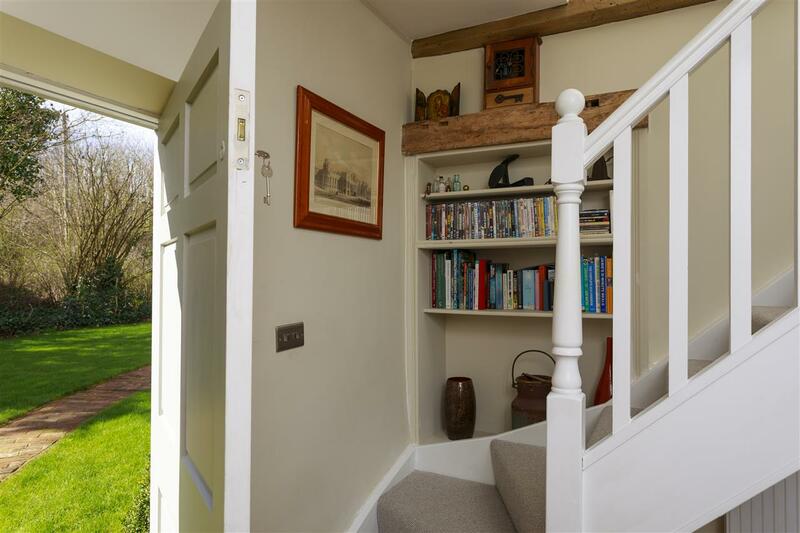 A second staircase rises to the first floor and another enclosed staircase descends to a superb cellar, which provides excellent general storage and is also an ideal wine store. 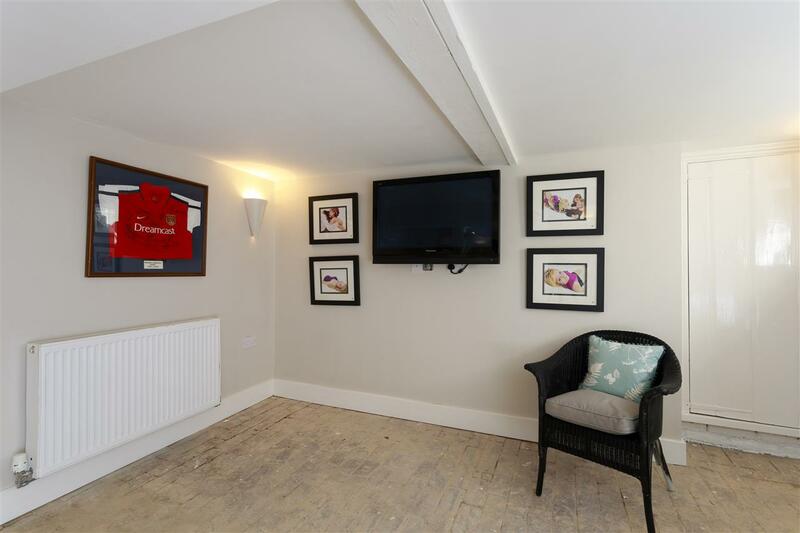 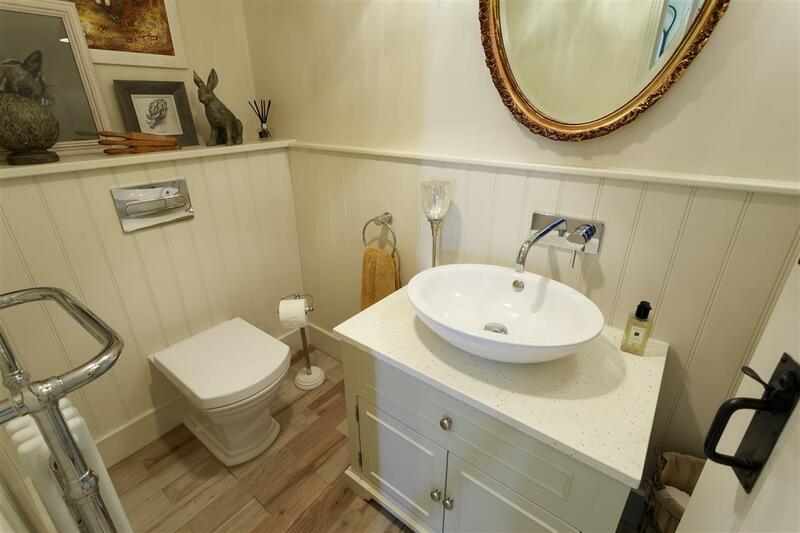 The ground floor accommodation is completed by a spacious utility room and a well appointed cloakroom. 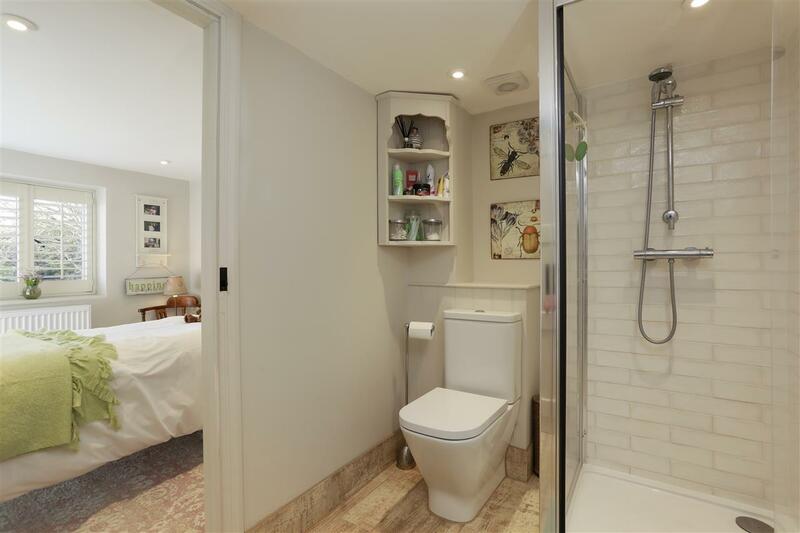 On the first floor, there are three good size bedrooms, a stunning family bathroom and a beautifully appointed 'Jack & Jill' shower room. 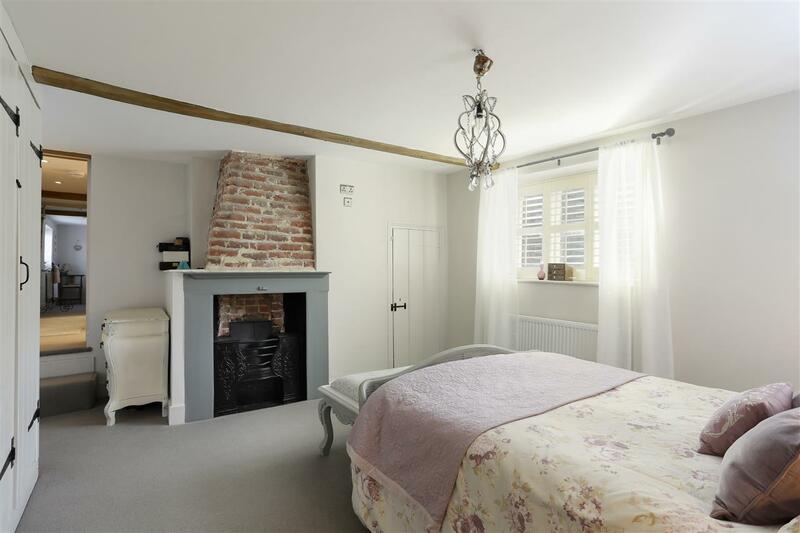 The largest of the three bedrooms is currently used as the master bedroom and is a wonderful room with exposed studwork, exposed ceiling beams and a cast iron fireplace with an exposed brick chimney breast. 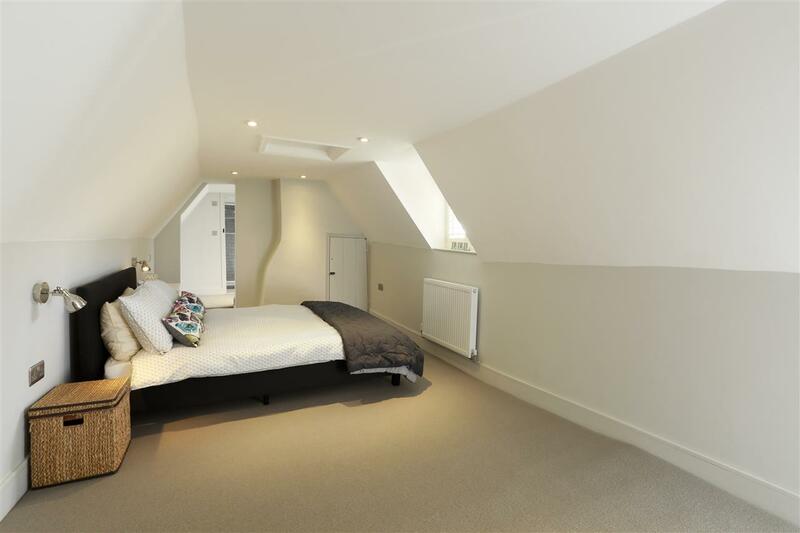 The room also has a range of bespoke, traditionally styled fitted wardrobes and an enclosed, walk-in vanity area. 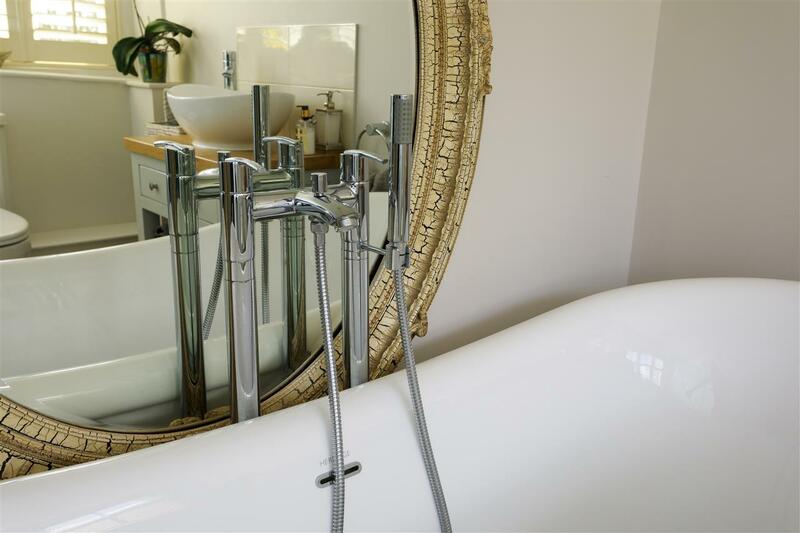 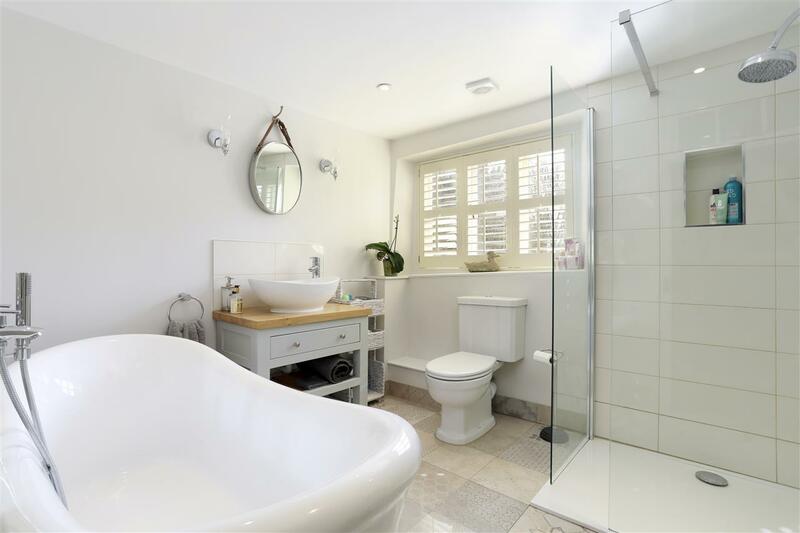 The family bathroom is adjacent to the master bedroom and has a gorgeous double ended, free standing bath, a walk-in shower enclosure, an oval basin mounted on an oak topped vanity unit and is finished with elegant Victorian style ceramic floor tiles. 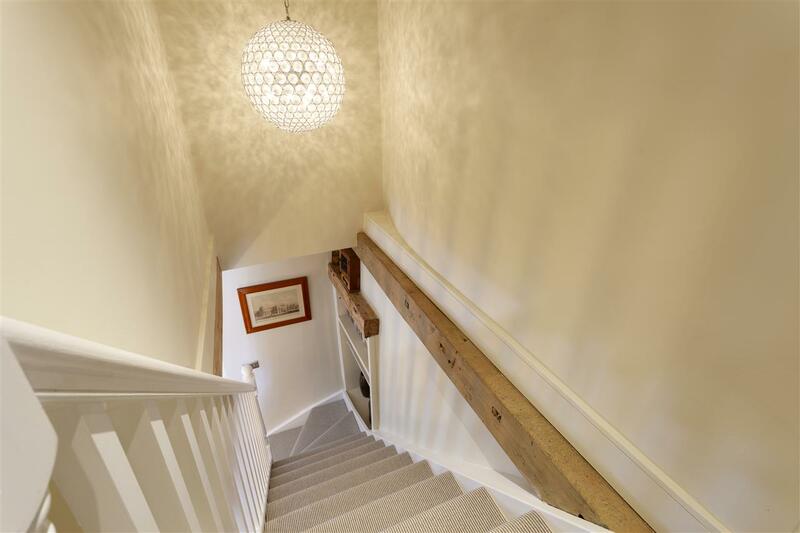 From the landing, an enclosed staircase rises to an impressive suite which occupies the entire second floor. 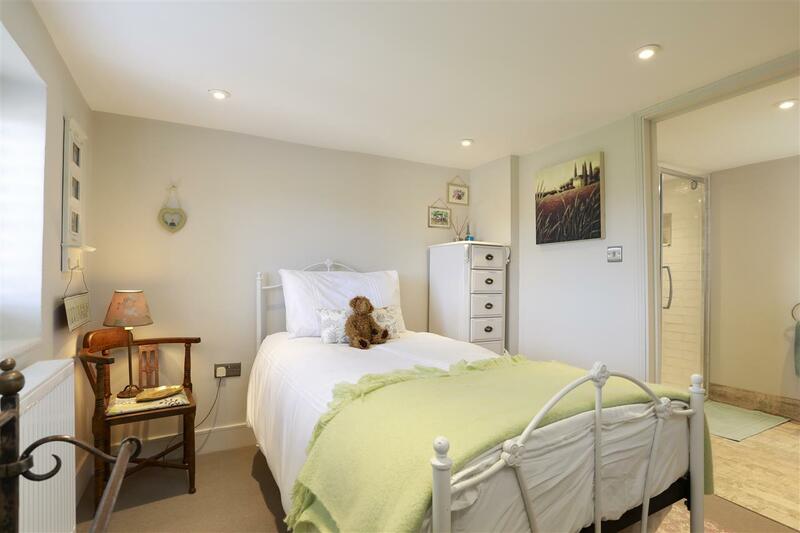 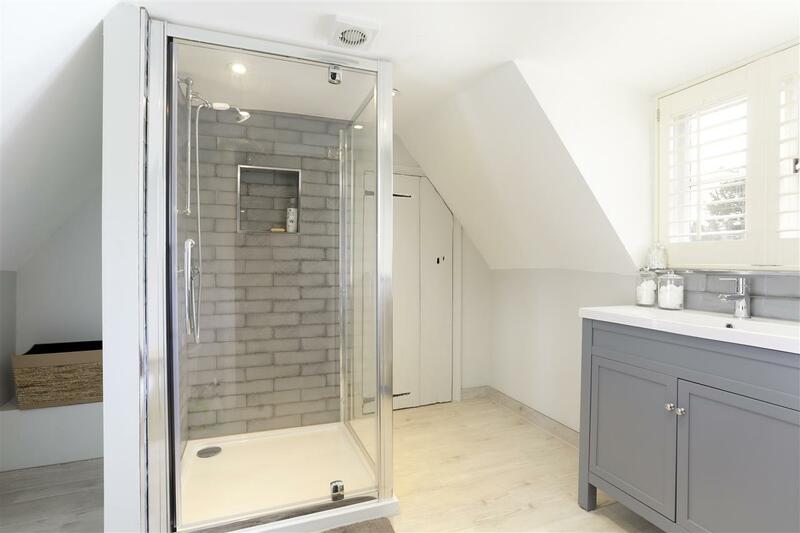 This comprises a 22 ft bedroom with built-in storage, a walk-through dressing area and a beautifully appointed en suite shower room with a range of high quality fittings. 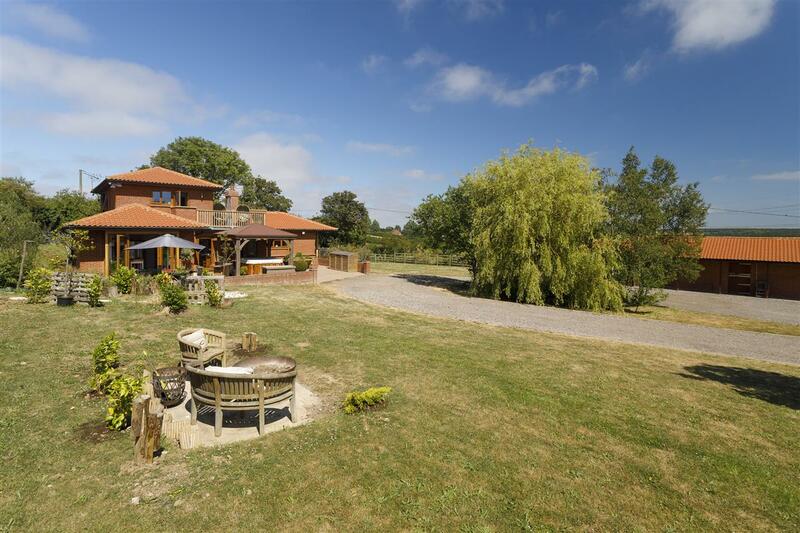 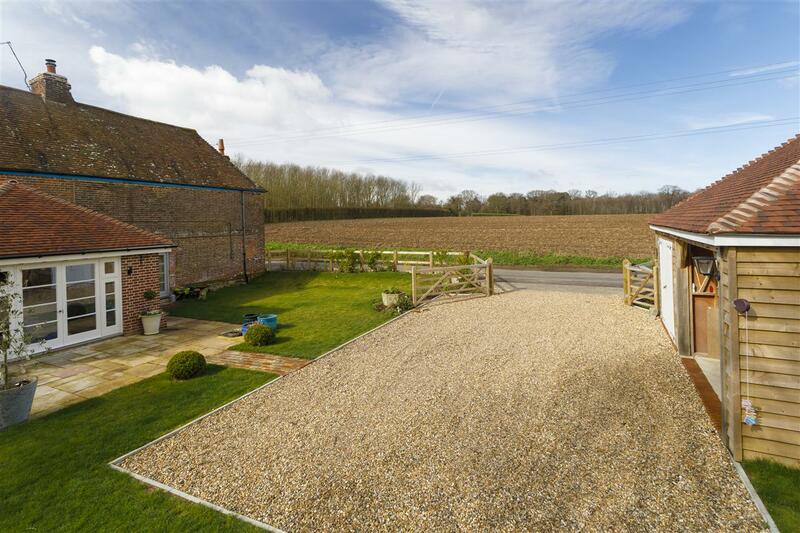 North Corner Cottage sits within a generous plot of approximately a quarter of an acre, and is approached via a set of timber five bar gates which open onto a gravelled driveway. 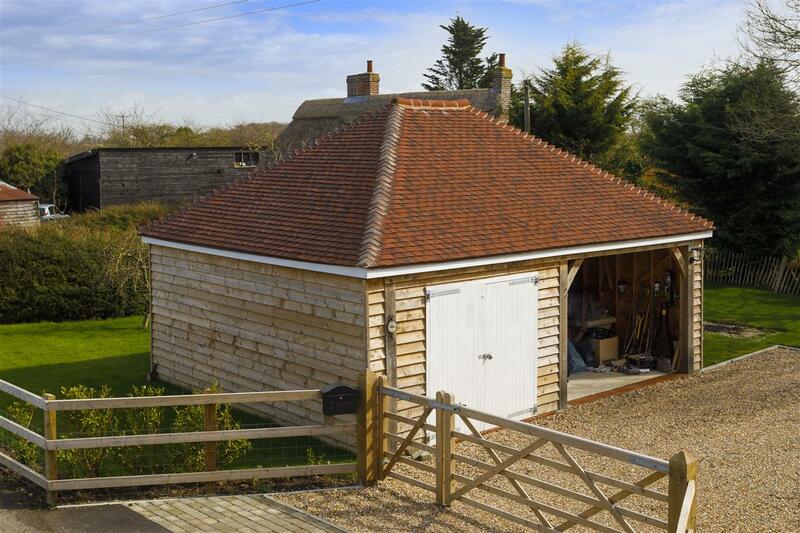 This provides parking for several vehicles and leads to an oak framed double garage with a power and water supply, set beneath an attractive red tiled roof. 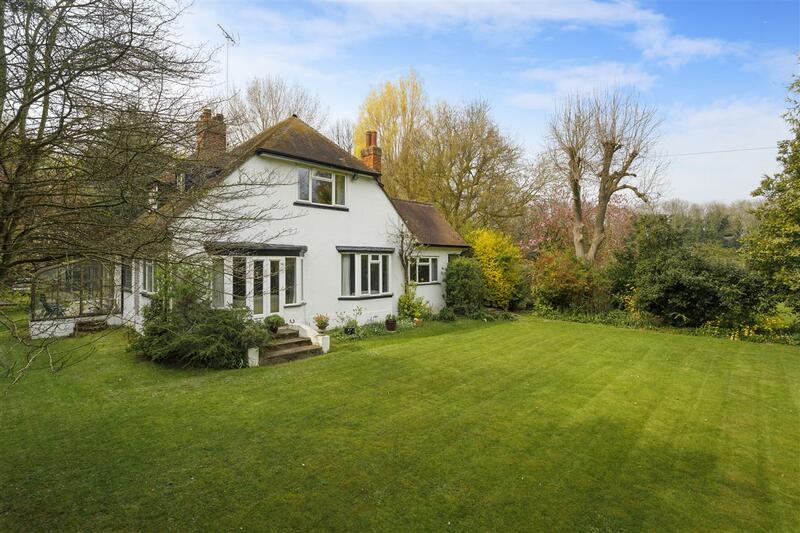 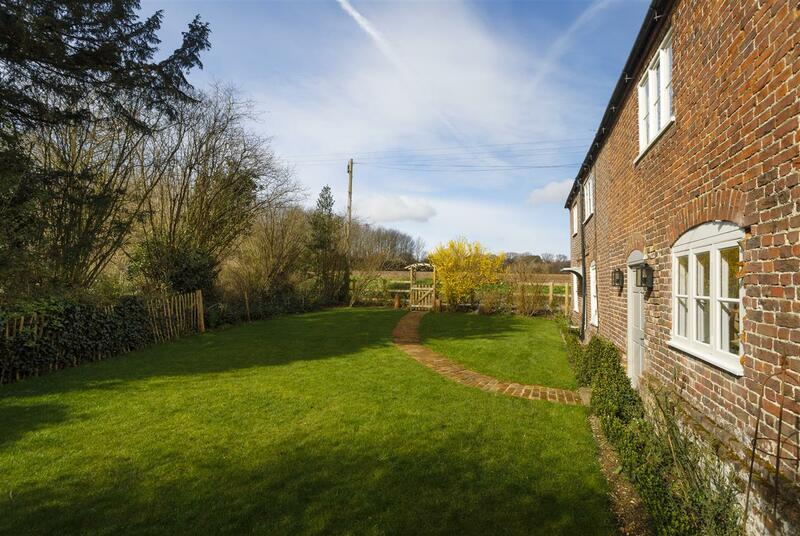 The cottage sits very nicely within the centre of the plot and is therefore surrounded by gardens to all sides. 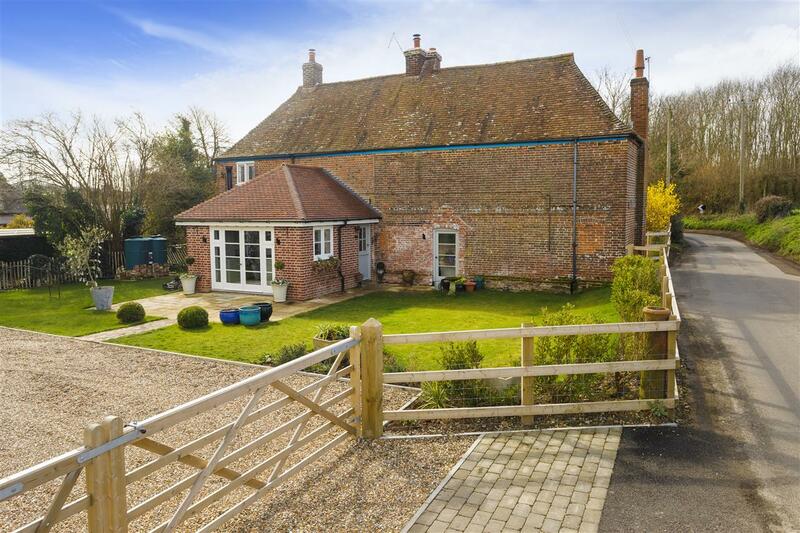 These are mainly laid to lawn, with pretty flower and shrub borders and a beautiful brick pathway which meanders towards the front door. 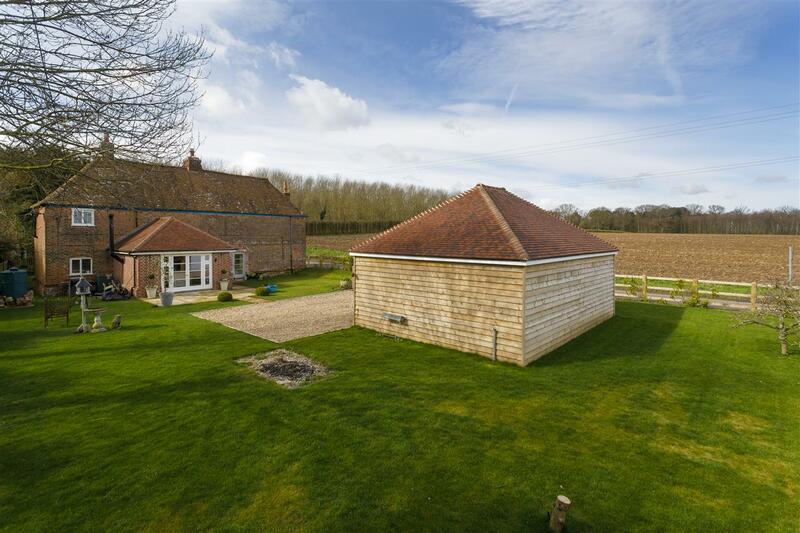 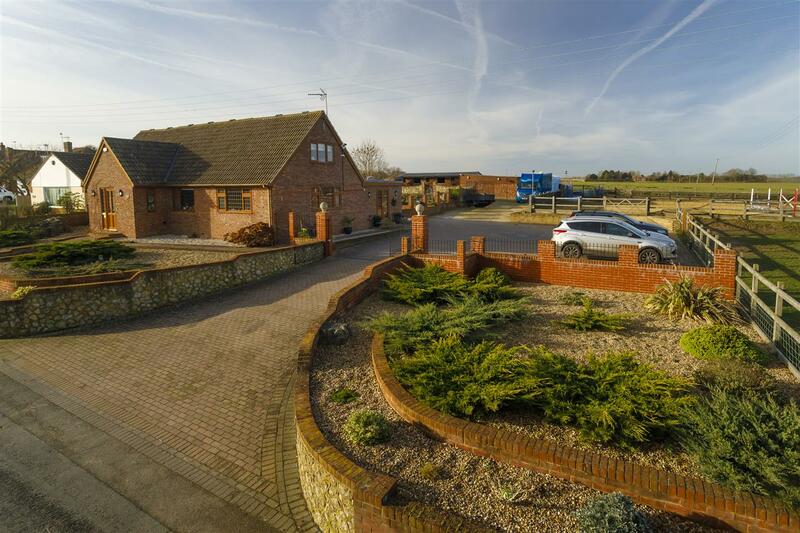 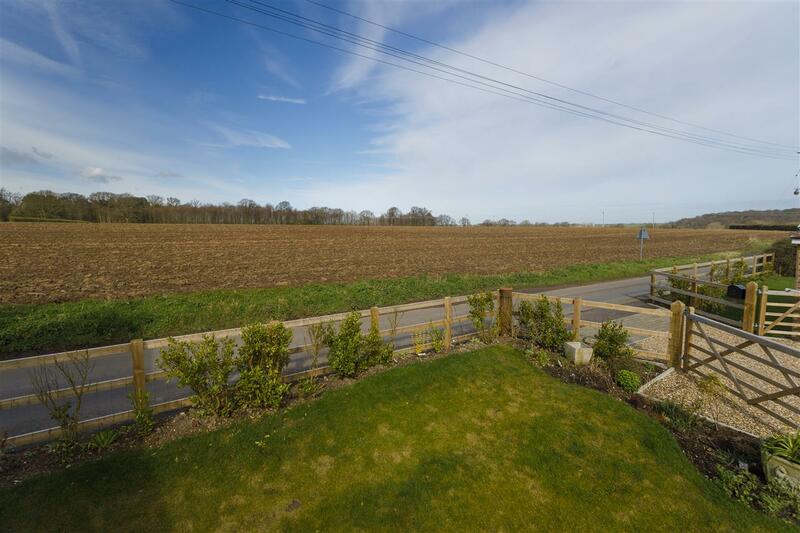 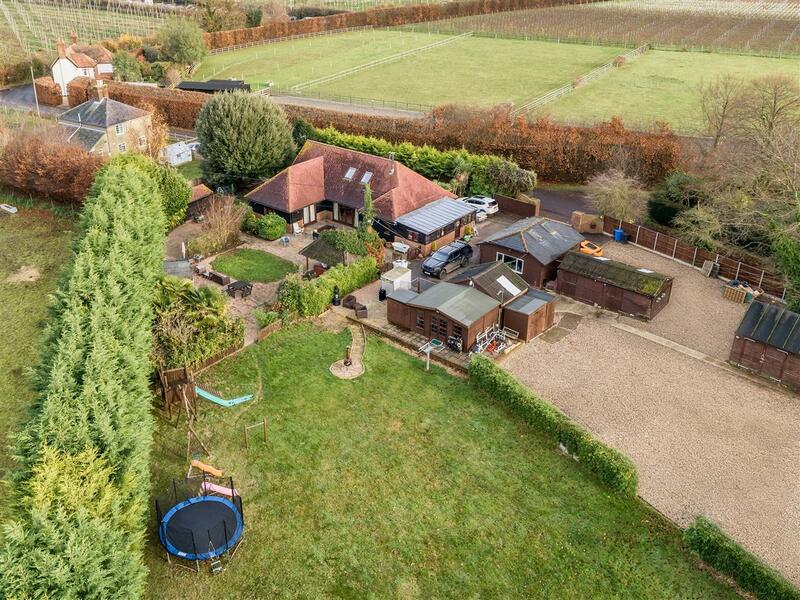 The rear gardens are enclosed behind post and rail fencing and consequently enjoy magnificent views over the adjacent open farmland. 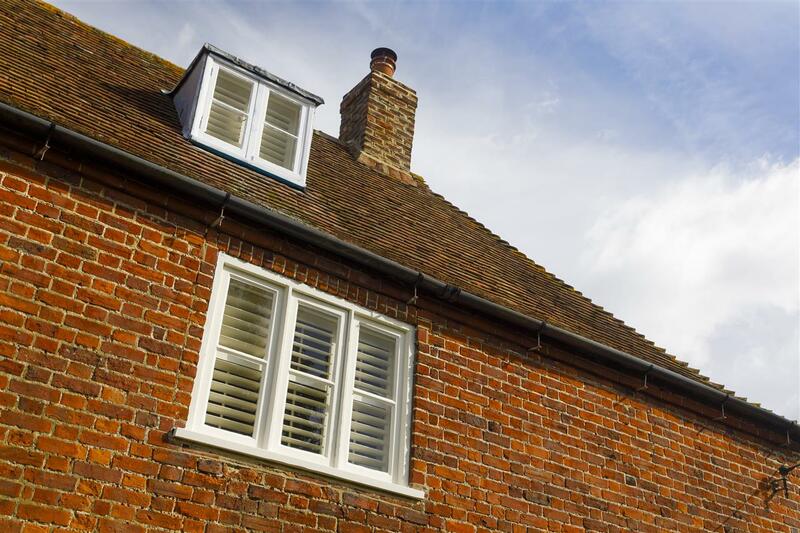 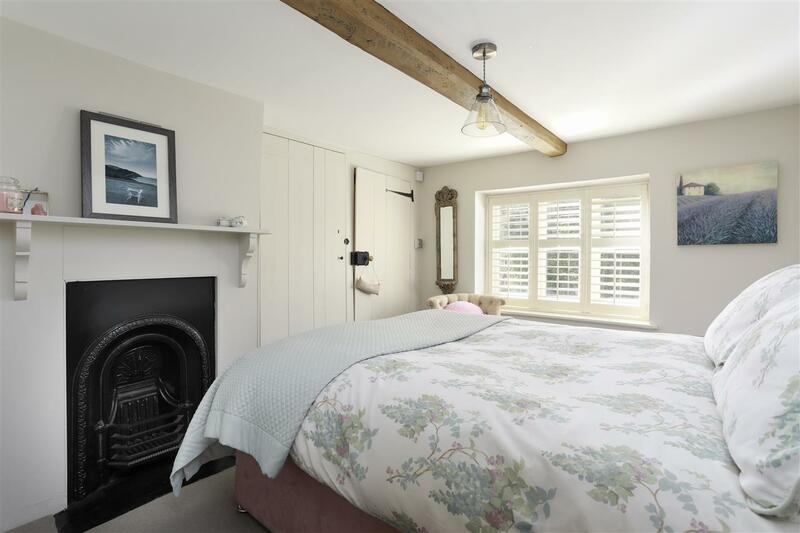 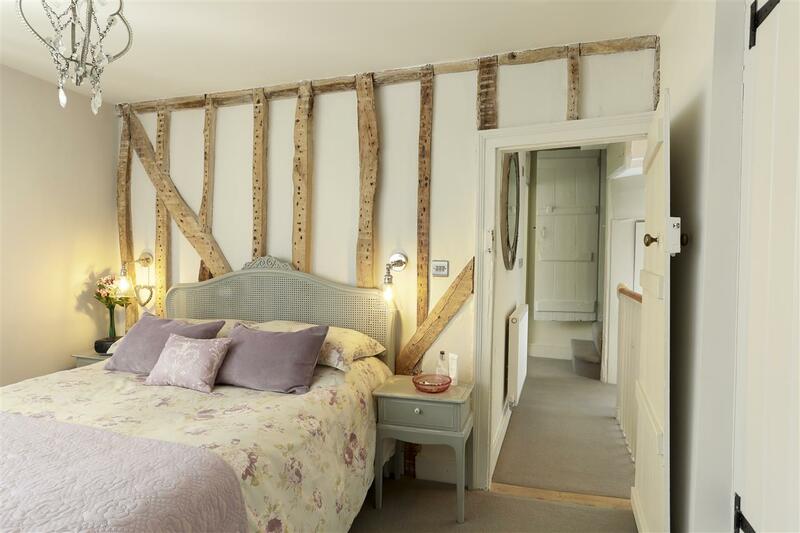 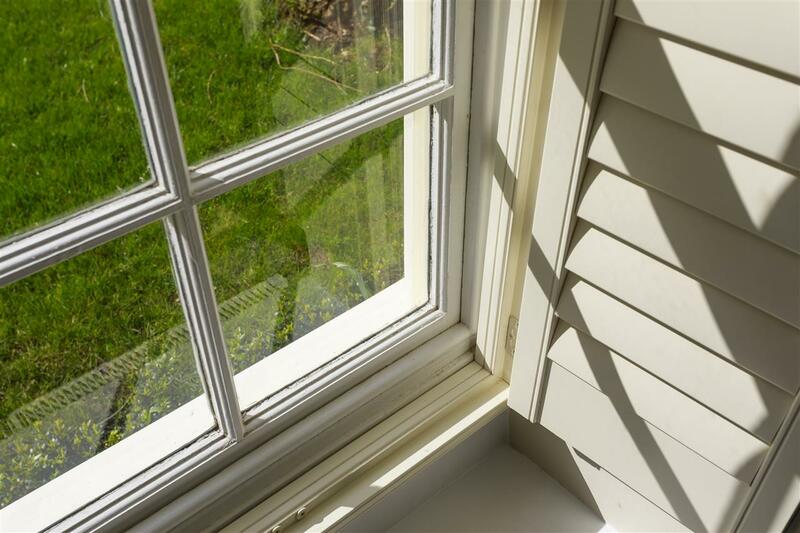 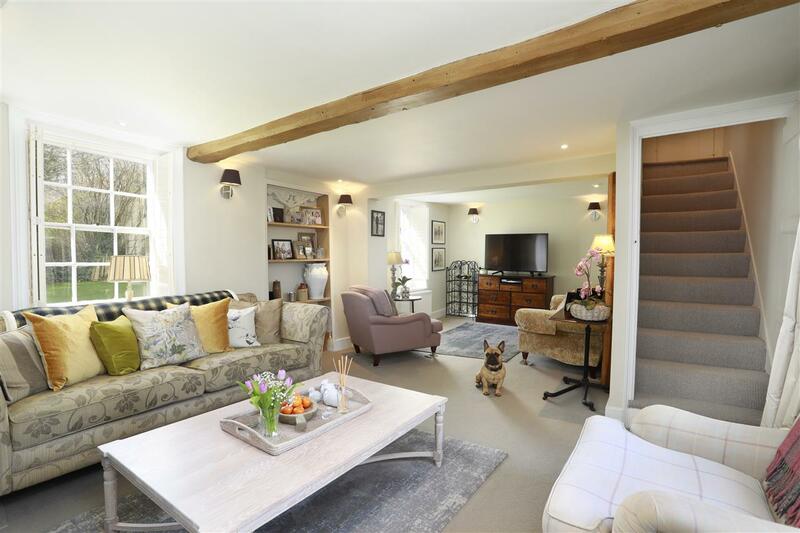 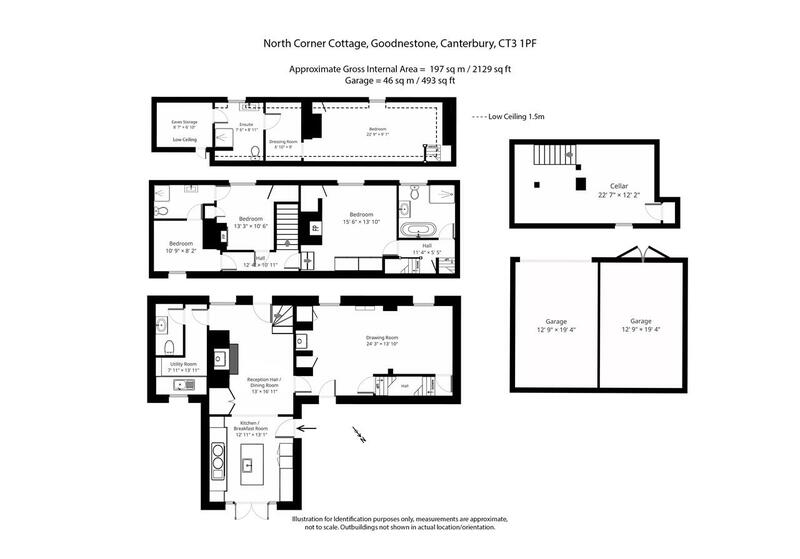 North Corner Cottage is situated on the edge of the charming village of Goodnestone, just nine miles from the bustling cathedral city of Canterbury and five miles from the Cinque Port town of Sandwich. 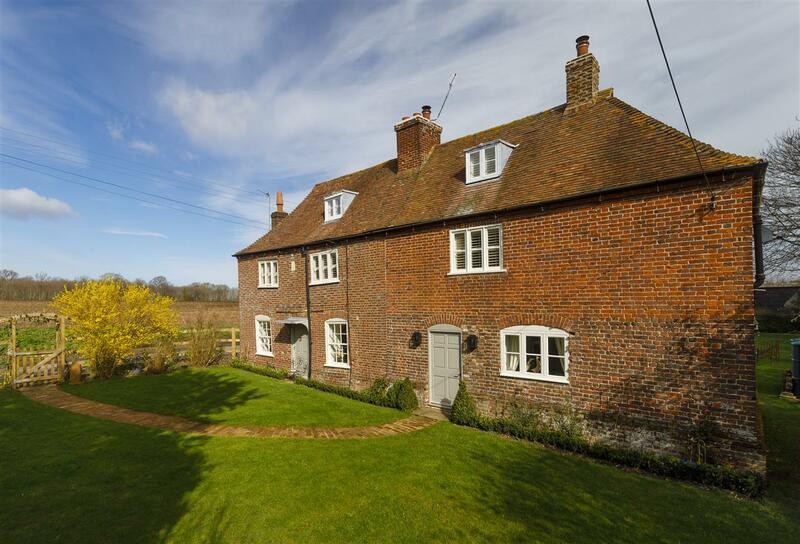 The village is home to a number of beautiful period buildings, including the Grade l Listed twelfth century parish church of The Holy Cross and Goodnestone Park, a magnificent stately home and gardens, frequently visited by Jane Austen and reputed to have been the inspiration for her novel, Pride and Prejudice. 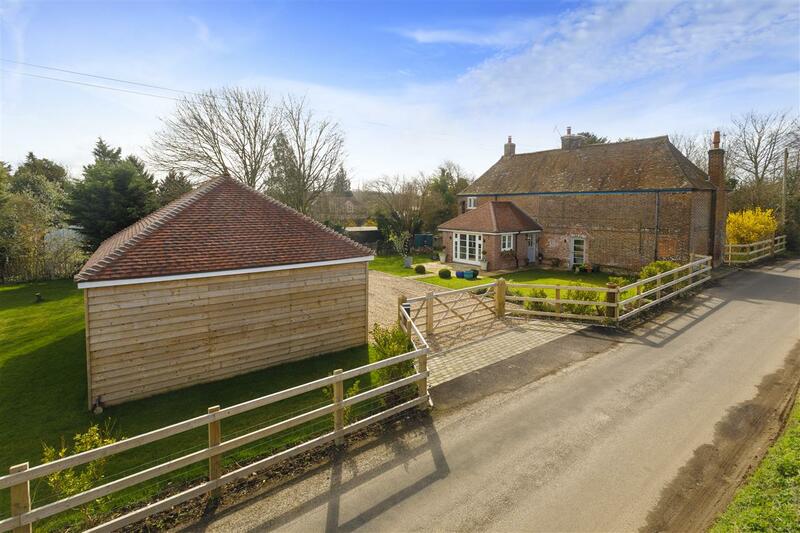 The nearby village of Wingham is less than three miles away and is also an ancient and historic village with many period homes and listed buildings dating back to the early thirteenth century. 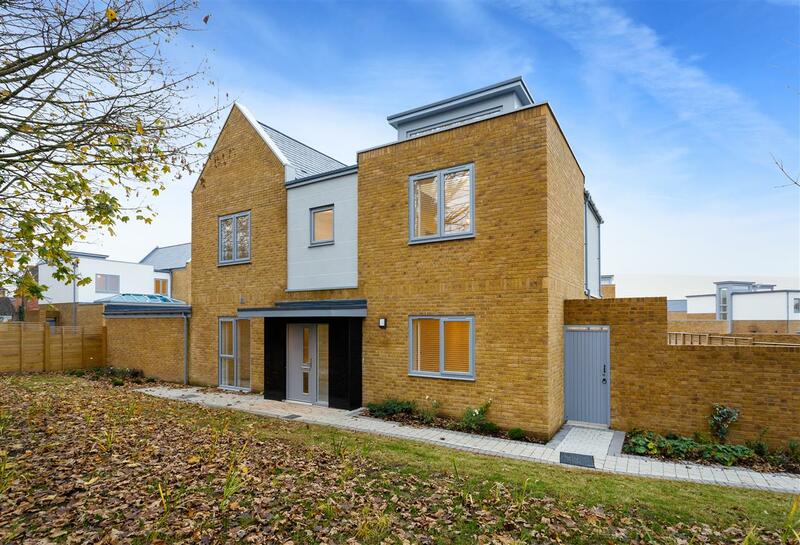 The village has a thriving high street offering a good range of shops and amenities, three public houses and the village primary school.